On StarWars.com, Matthew Wood reveals the familiar voices behind the various troopers and pilots of The Force Awakens. Andi talks to Pablo Hidalgo, Dave Filoni, Henry Gilroy and Dee Bradley Baker about tonight’s ‘Stealth Strike’. Plus, Pablo answers a question about Sabine. 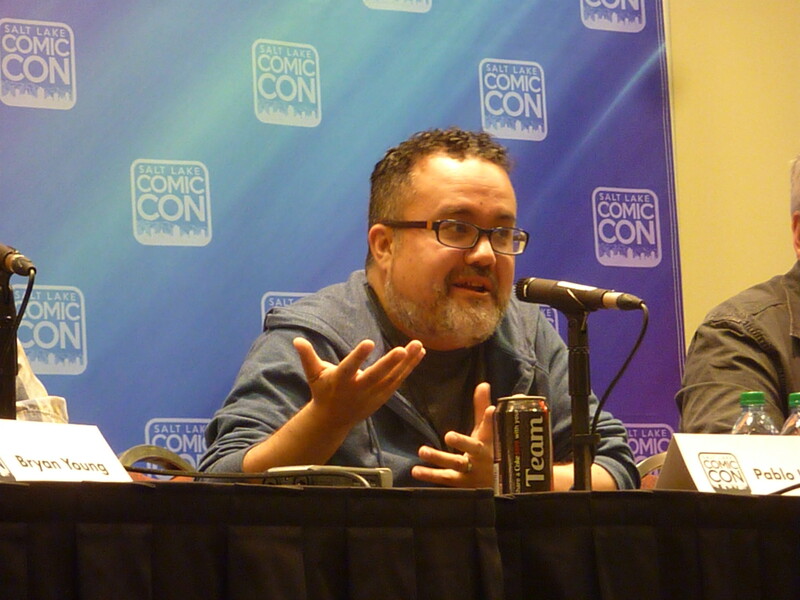 Of the many great Star Wars panels at Salt Lake Comic Con a few weeks ago, one of the highlights was the “Clone Wars & Rebels: How Animation Changed Star Wars” panel. Moderated by Bryan Young, the panelists included Lucasfilm creative executive Pablo Hidalgo, veteran voice actor Dee Bradley Baker, and artist Scott Harben. Bryan Young moderated another panel that would interest EU fans. He had authors R. A. Salvatore and Mike Stackpole discuss “Why We Killed Chewbacca” bringing in how the decision was made and the fallout from that event.